Do you want to be recognised as a leader and innovator in the structural timber sector? The 2017 Structural Timber Awards truly made its mark on the timber industry rewarding outstanding projects, innovative products and dynamic people promoting excellence in structural timber across the UK. Returning for 2018, the Structural Timber Awards promises to be the best year yet for the awards with a high calibre of industry leading companies and inspiring projects expected to enter the 17 different categories. 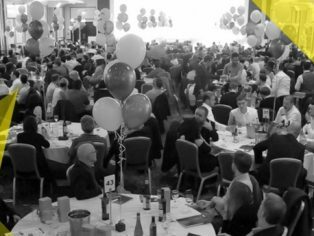 The Awards will be presented at a high-profile dinner on 10 October 2018 at the National Conference Centre, Birmingham. This event is the ideal opportunity for construction professionals to maximise industry exposure by demonstrating what separates them from their competitors. The winning organisations will be promoted to a national audience, giving entrants the opportunity to make their mark on this economically important market. Entering the Structural Timber Awards allows the most innovative achievements in timber to be upheld by the industry alongside those considered the nation’s best. Earning ‘Highly Commended’ or winning an award will earn entrant’s recognition within the timber community, leading to an abundance of fresh prospects for each company. Do you have a project that you think is worthy of winning a Structural Timber Award? If yes, start your entry today! Categories to enter in order to be in with a chance of winning a Structural Timber Award include: Best Social Housing Project, Best Private Housing Project, Best Self-Build Project, Best Education Project, Best Healthcare Project, Best Commercial Project, Best Retail or Leisure Project, Best Low Energy Project, Engineer of the Year, Architect of the Year, Client of the Year, Contractor of the Year, Product Innovation Award, Pioneer Award, Project of the Year, Project Manager of the Year and Installer of the Year. The closing date for award entries is the 31 May 2018 and you can enter any of the categories at no cost by visiting: www.structuraltimberawards.co.uk.